It’s amazing how the world has become so “connected”. Ten years ago, our group probably wouldn’t have even known each other and now we can collaborate easily. I’m so excited to be able to work with these other talented felt makers and to bring you more information about felting and fibers. 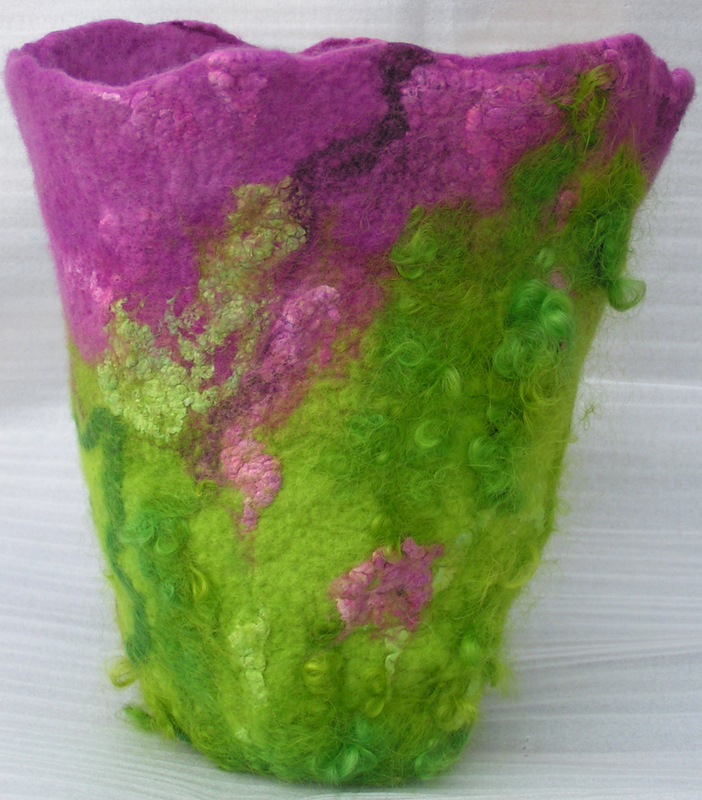 When I discovered felting in 2007, I finally found the creative outlet for which I had been searching. 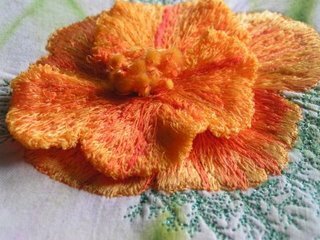 As a self-taught fiber artist, the versatility of fiber allows me to “play” with a wide variety of materials including wool, silk, fabrics, yarns and threads. Creating one of a kind fiber art pieces to share with the world fulfills my creative passion. One technique that I especially enjoy is the ancient technique of felt making. Traditionally to make felt, raw or dyed wool was dampened with soapy water and agitated (usually by stomping or rolling) to “felt” the wool. I use this traditional method of wet felting as well as dry felting with needles, either by hand or machine. I then embellish the felt with free motion machine embroidery, hand stitching, surface design and other techniques to develop a unique design. As I continue my journey into fiber art, I am learning to look at the world more clearly and closely. I am inspired by the beauty of the natural world, be it an “ordinary” piece of grass, a tiny bit of lichen or the gorgeous Montana landscapes. When you look at my work, I want you to be drawn into the layers and details of the rich, textural surface and to “feel” the joy of its creation. For my day job, I own a fine craft gallery in Whitefish, MT called The Purple Pomegranate. We carry handcrafted items from local Montana artists as well as artists throughout the US and Canada. Check out our website here. I have recently written a book called The Complete Photo Guide to Felting published by Creative Publishing, International which was published in August of 2012. The book is available for purchase at The Purple Pomegranate. If you’d like to see more photos of my work, check out my personal blog Permutations in Fiber.